Do you remember the first time you saw the buy to let property in which you decided to invest? As you pulled up outside, there was probably something about it that made you think “this is the one”. It’s what estate agents call kerb appeal – and just as it was likely to have won you over, so too is it something just as likely to attract your tenants. Sometimes, it might be difficult to put your finger on quite what it is that gives a property kerb appeal – you simply know it when you see it. For you and your tenants, it might be a question of whether the place looks attractive from the road or, more likely, the first impressions it creates at first sight. The Residential Landlords’ Association (RLA) certainly thinks that kerb appeal is an important factor giving your property that essential edge over others that potential tenants might be viewing. And online estate agents Zoopla confirm that it is critical enough for them usually to use the lead photograph that emphasises a property’s kerb appeal for any of their listings. As more properties are advertised for rent, the buy to let market is becoming increasingly competitive and you are likely to need to go that extra mile in making sure that potential tenants choose yours over neighbouring places to live. 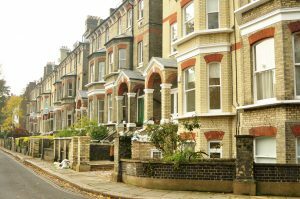 To maximise the potential and marketability of your buy to let property, therefore, you might want to improve its kerb appeal. How might you do that? just a modest investment in new drapes, blinds or shutters – especially in colours that match your newly painted front door – may make the world of difference. Has your let property got kerb appeal? If not, you might want to give it some, to attract the more discerning – and potentially more responsible – tenant who is going to respect your property.